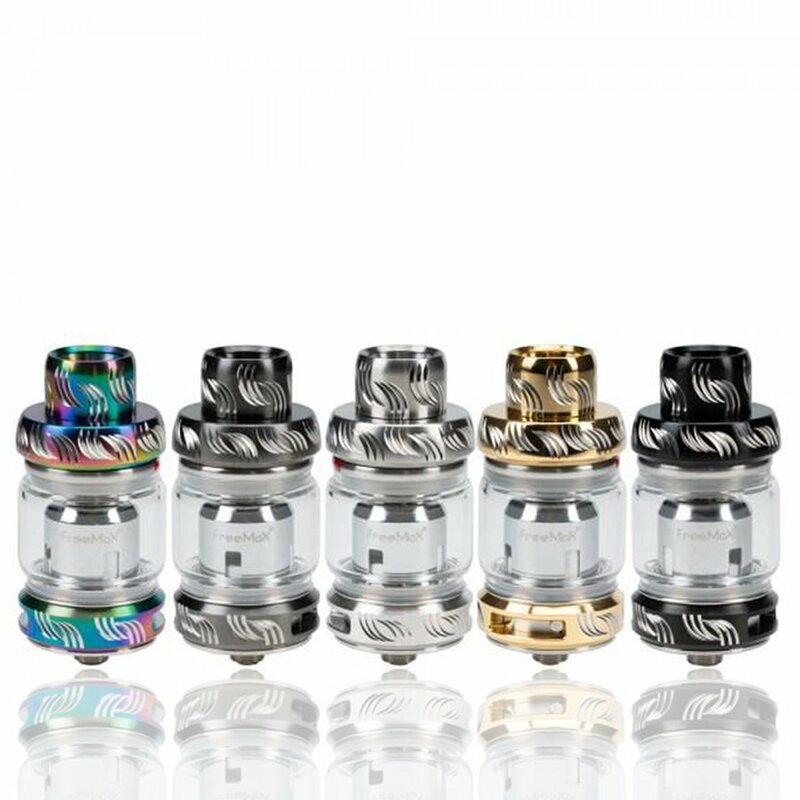 FreeMax introduces their FireLuke Mesh Pro Sub-Ohm Tank, a 25mm diameter, push to open top fill system, that utilizes mesh coil heads, and a complete resin construction. The Mesh Pro can accommodate up to 5ml of E-Liquid with the pre-installed tank and can accommodate up to 6ml with the larger bubble glass tank section. The Mesh Pro can easily be filled by pushing the top of the tank and exposing the fill port. The FireLuke Mesh Pro uses the FireLuke Mesh coil family and comes with a 0.2 ohm double mesh coil head that's rated 60 to 90W and the 0.15 ohm Kanthal single mesh coil, rated at 40 to 70W. With the application of mesh coils, the longevity and transference increases dynamically greater compared to regular coils. Airflow enters the FireLuke Mesh Pro via dual adjustable bottom air slots that can be fully closed. A 9mm wide bore drip tip allows the user to intake adequate amounts of vapor with ample flavor. With its unique construction and the use of mesh coils, the FreeMax FireLuke Mesh Pro Sub-Ohm Tank offers a stylistic design and great flavor.